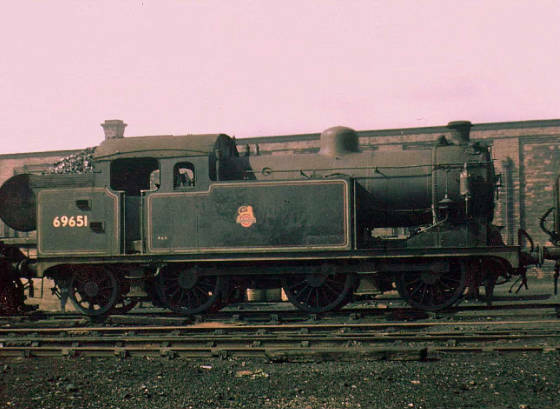 "N7" 0-6-2T no.69651 stands out of use on no.7 road in this rare colour shot. 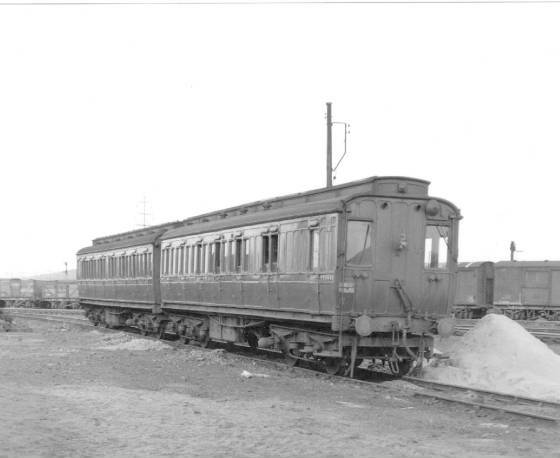 The Annesley "Dido" was the workmans train that ferried staff between Bulwell Common, Hucknall, Newstead and Annesley. 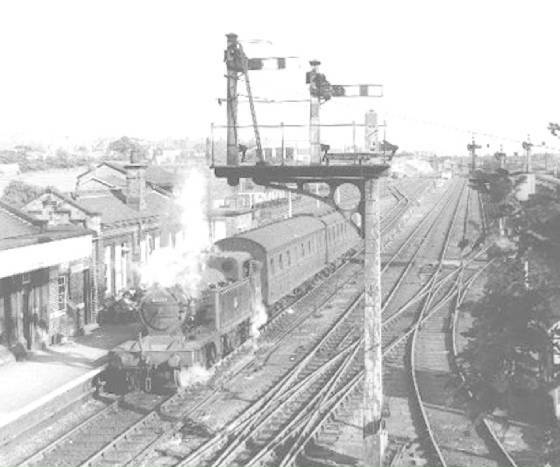 Some trips were down the GN branch, serving Hucknall Town and Newstead, others were on the GC main line, calling at Hucknall Central,Annesley South Platform, and Hollinwell and Annesley. 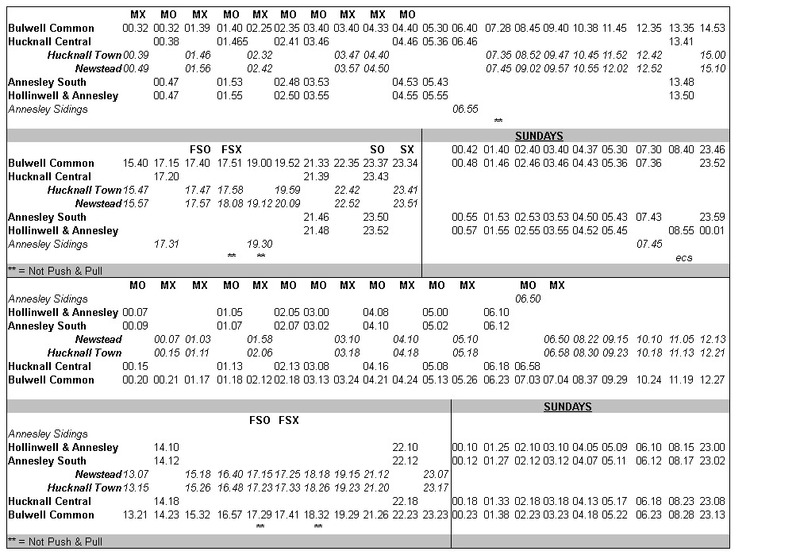 CLICK ALL PHOTOS TO ENLARGE! 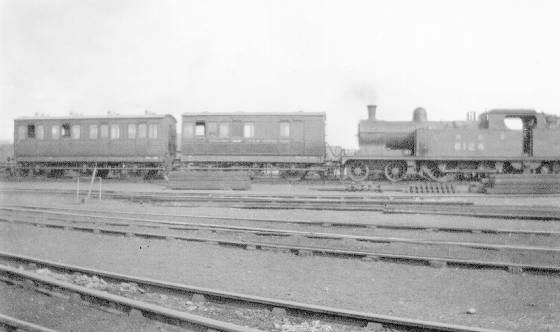 An outside-framed 4-4-0 heads the 7.35 away from Bulwell Common in this 1925 photo. 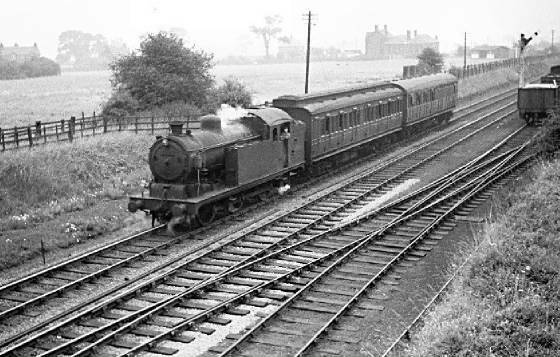 In the early days (at least) for the benefit of the Carriage & Wagon staff, the 7.35 am departure from Bulwell Common was a five-coach formation, which returned from Annesley sidings at 5.10 pm on weekdays, and about 1.00pm on Saturdays. 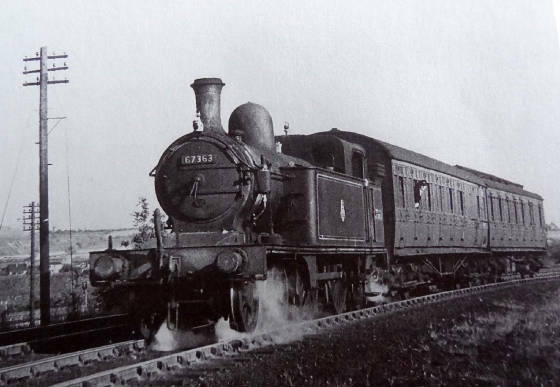 Here we have Sacre 4-4-0 no.439 leaving Bulwell Common in 1925. 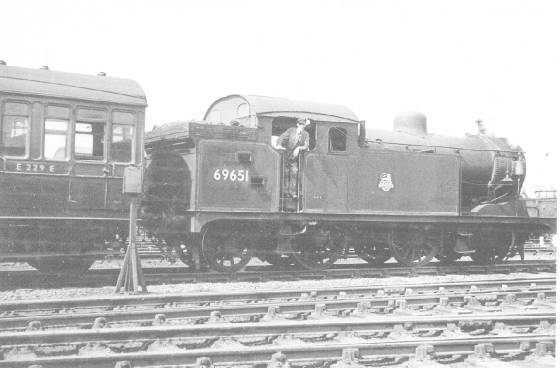 "D12" 4-4-0 no.6466 is seen here at Bulwell Common in July 1926. She was withdrawn three months later. 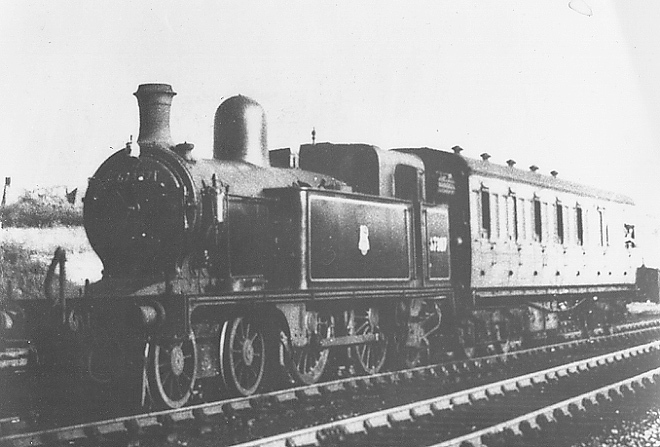 Ex-Great Central Class "C14" 4-4-2T no.6124 with the Annesley "Dido" in 1929. 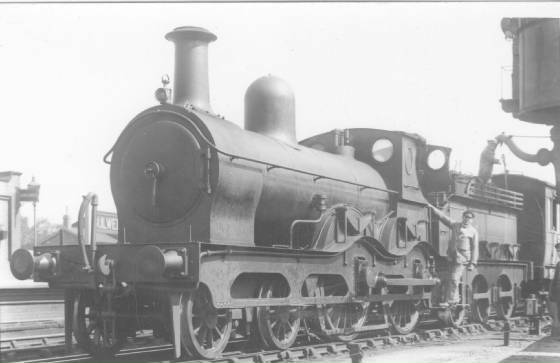 Apart from a 6-month break, she was at Annesley for 20 years, from May 1919 till May 1939. 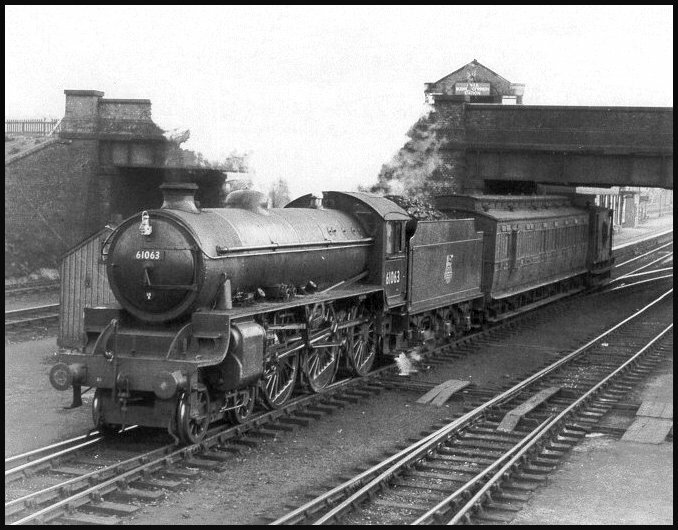 Renumbered 67444 By British Railways, she was withdrawn from Gorton (39A) in July 1957 after a working life of 50 years. 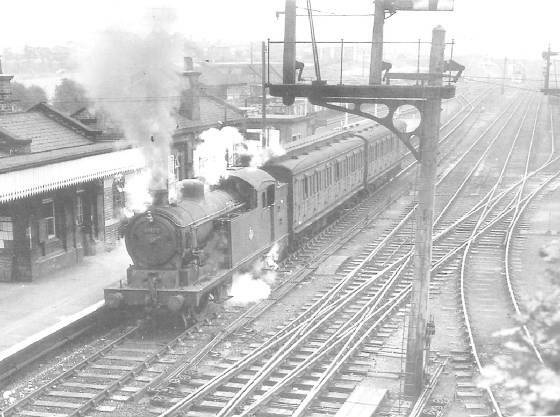 These 1930 photo's see "C14" no.6120 arriving at Hucknall Central. 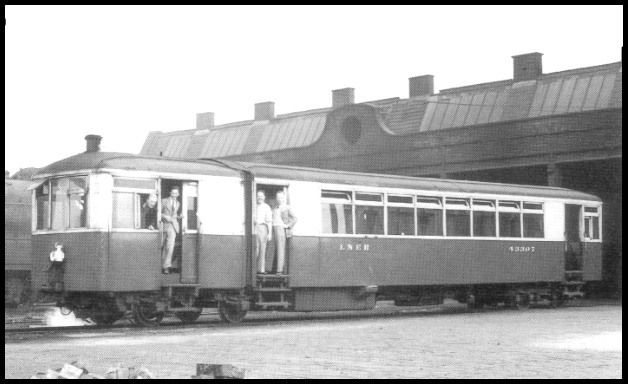 1937 to 1940 saw the "Dido" worked by Sentinel 2-Cylinder Railcars, Nos.43306 & 43307. 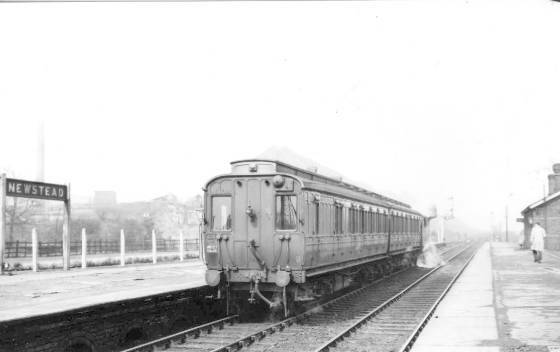 These were replaced by Sentinel 6-Cylinder Railcars nos. 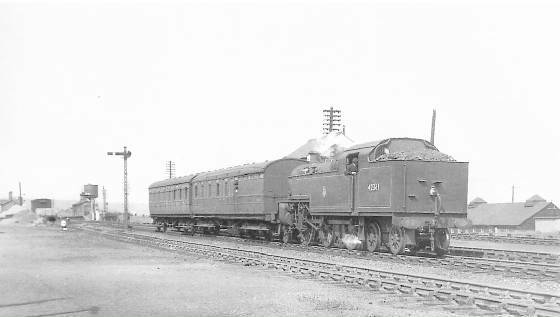 51908 (Jan.1941) & 51912 (Nov.1939) These were finally withdrawn in 1943. 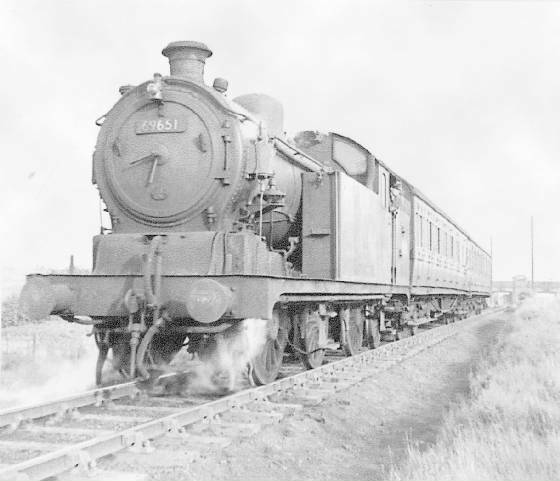 No.43307 stands proudly on No.1 road in this 1937 shot (below). 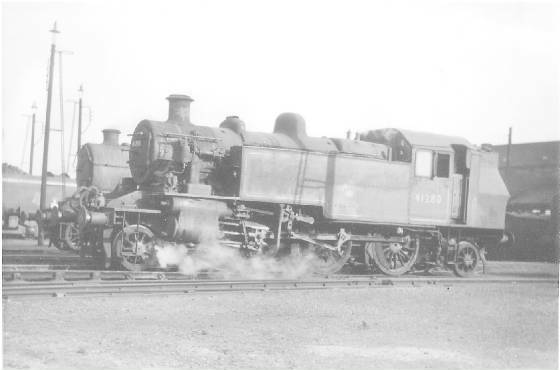 "F2" 2-4-2T no.7105 stands at Newstead (GN) with the Bulwell-bound "Dido" in August 1946. 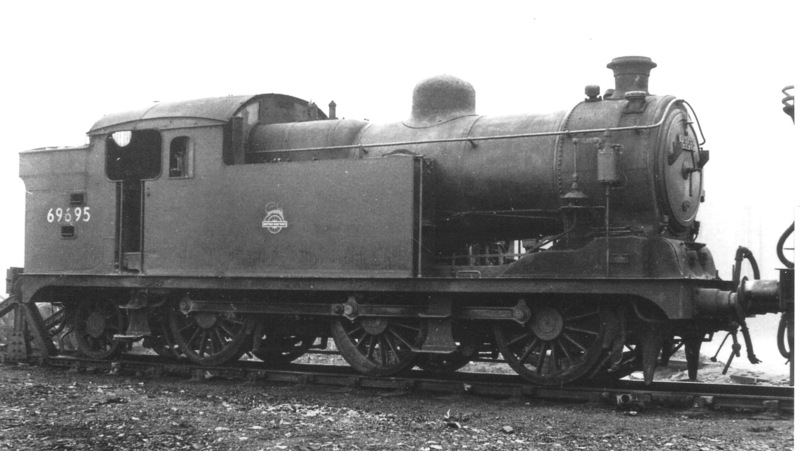 From 1942 till the summer of 1949 the "Dido" was worked by ex-GC Class "F2" 2-4-2 tank engines. 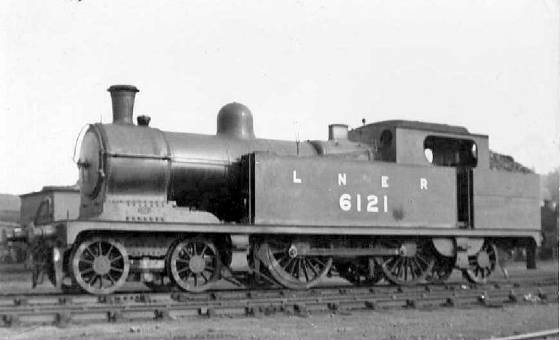 Here we have No.7105 at Newstead in August 1946. 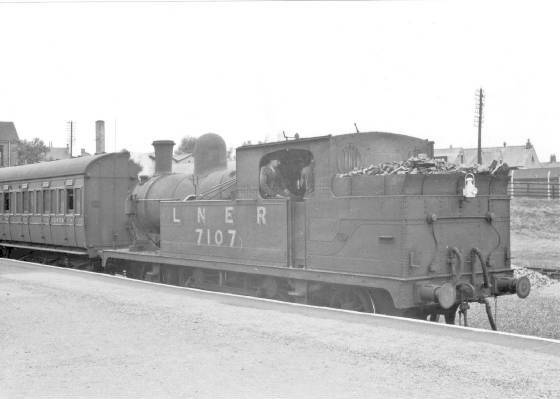 She was condemned in August 1948, leaving 7106 and 7107 soldiering on for another year. 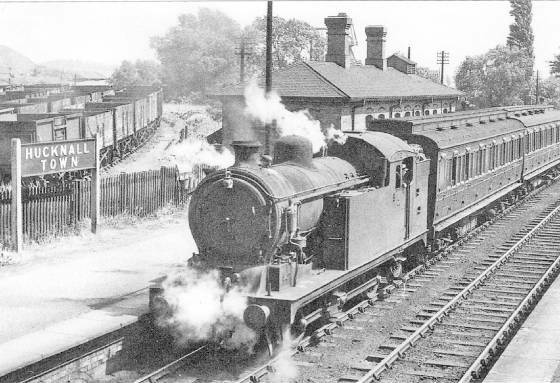 Here we have 7107 at Hucknall Central on 23rd July 1948 with the 14.18 departure to Bulwell Common. 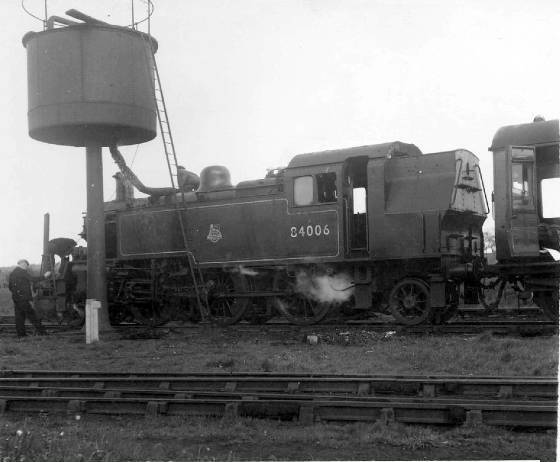 The ex-GCR push & pull set E5344E stands in Annesley 'loco yard on 4th April 1954 (above), and is seen at Newstead (GN) below. 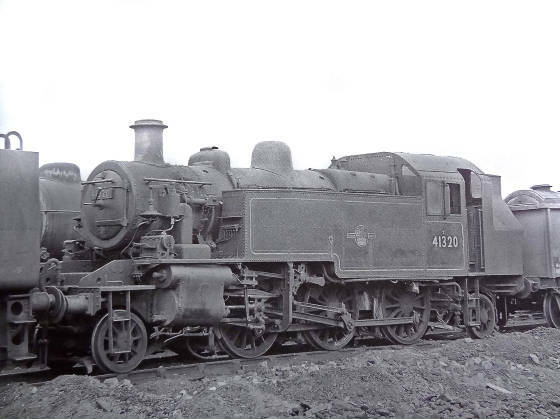 .....It was then the turn of the "C12" 4-4-2 tanks! they worked the "Dido" from 1950 to 1956. 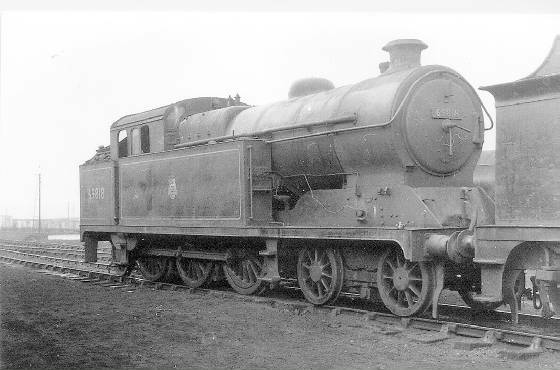 Probably the most memorable engine to work the "Dido", for trainspotters and enginemen alike, was ex-GN Class C12 4-4-2T no.67363. 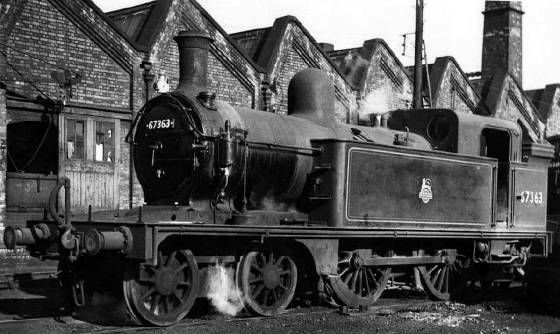 The "Dido" engine everyone remembers - "C12" 4-4-2T no.67363 stands ready for duty. 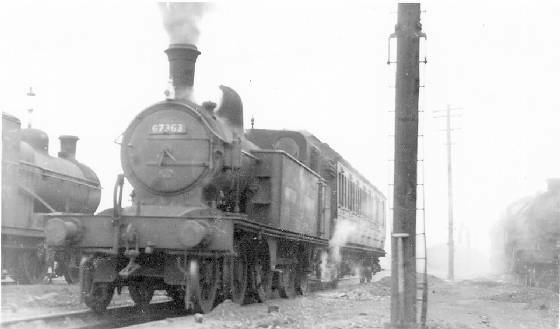 "C12" 4-4-2T no.67387 heads the "Dido" in this pre-1952 photo. She moved to 32D in January 1952. 67363 moved to Tilbury (33B) 10/56 and then to New England 08/58. She was withdrawn 3 months later. 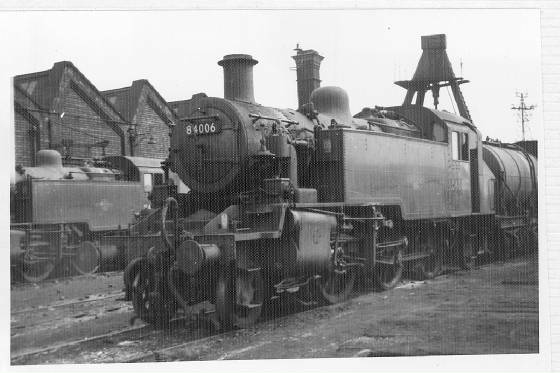 67387 was replaced at the end of 1951 by ex-Great Eastern "N7" 0-6-2 Tanks no.69651 and 69695,the latter being replaced in May 1954 by sister locomotive no.69692. 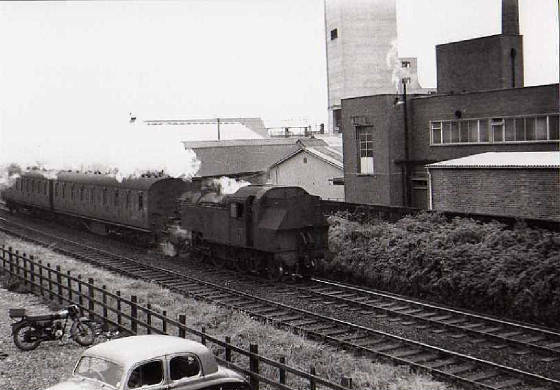 The "Dido" has just passed under Farleys Lane bridge, propelled by an "N7" 0-6-2T on its way to Bulwell Common in this c.1954 view. 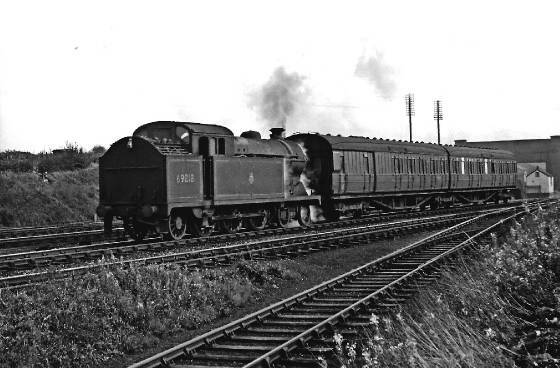 Ex-GE "N7" 0-6-2T no.69651 is propelling her two coaches into Bulwell Common station in this early 'fifties shot. 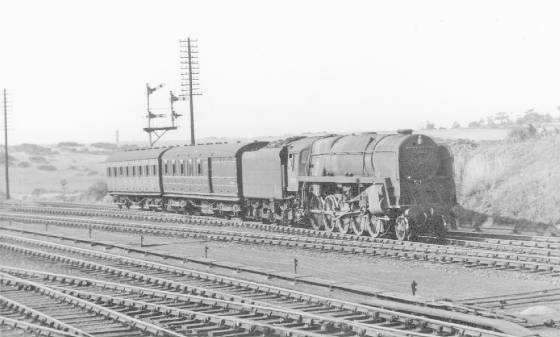 The two "N7's" and 67363 soldiered on until October 1956, when all three were replaced by a trio of ex-Great Central "A5" 4-6-2 Tanks, nos.69809, 69818 and 69825. These in turn lasted until December 1958, when "Midlandisation" had reared its ugly head! 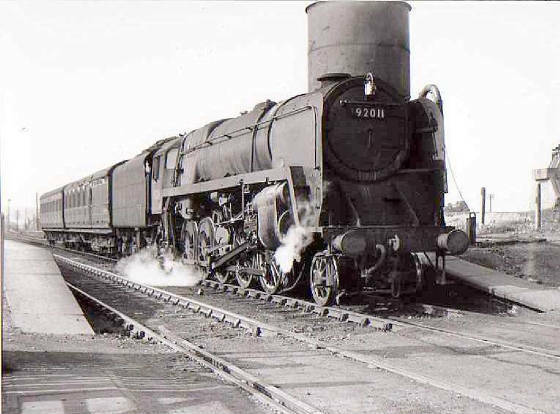 January 1959 saw the arrival at Annesley of three Fowler Class "4" Tanks, nos. 42333, 42339 and 42361. They lasted exactly a year before being transferred to Trafford Park (9E). 29th August 1959. 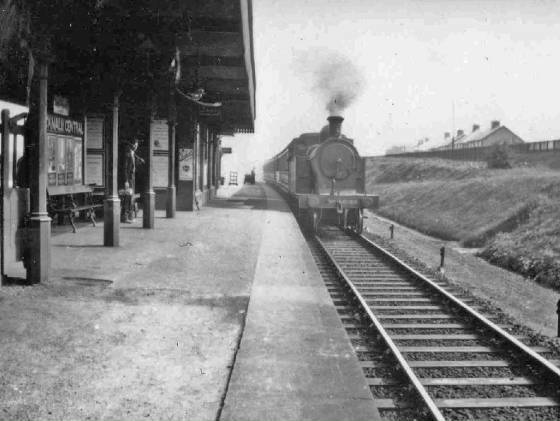 Newstead (GN) station. 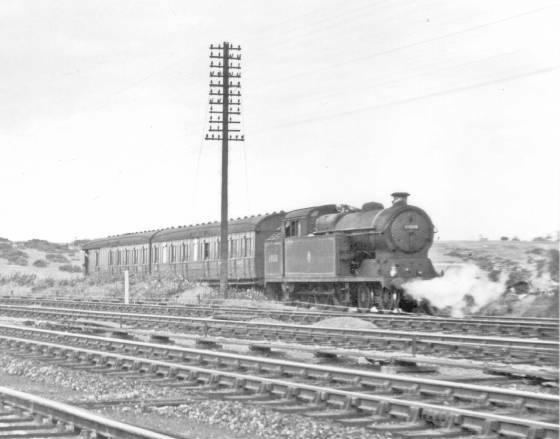 ...and approaching Bulwell Common probably on the same date. 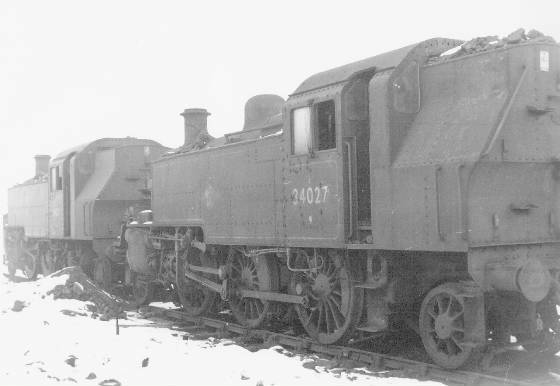 ......next came the two engines that were probably the most suitable for the "Dido" - Ivatt Class "2" Tanks nos.41280 and 41320. 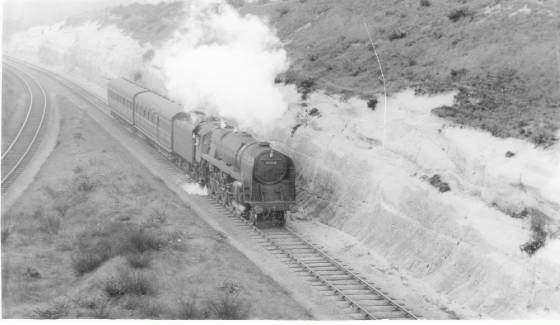 The latter was transferred to Exmouth Junction on the Southern Region in September 1961, leaving her sister to soldier on alone until April 1962. 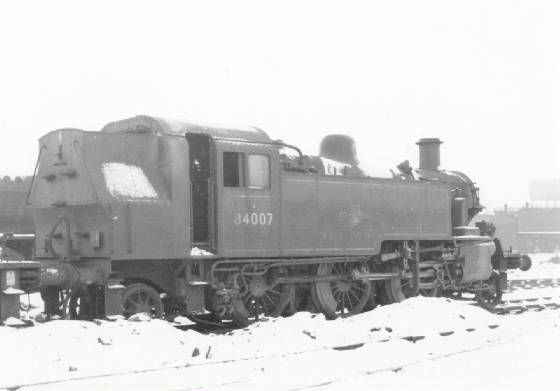 Although the end was in sight for the "Dido" 41280 was replaced by yet three more "modern" engines. 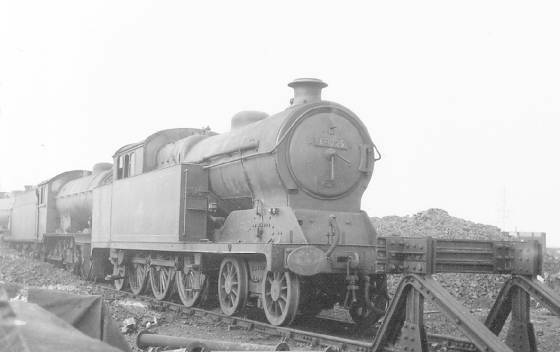 BR Standard Class "2" 2-6-2 Tanks nos.84006,84007 and 84027. 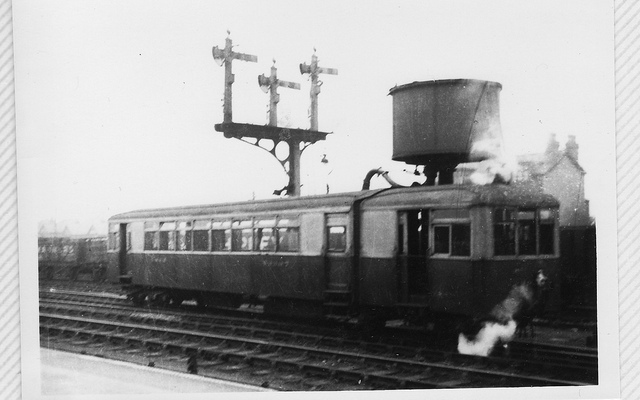 84006 is seen here taking water at Bulwell Common. 84006 awaits her next "dido" duty. 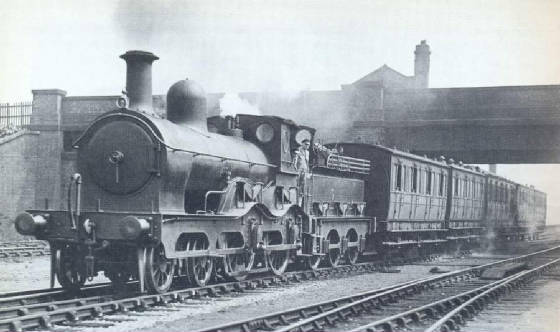 Behind is sister engine 84007. It has been suggested that the "Dido" was so nicknamed because it ran "day in, day out". Although probably true,I cannot confirm this as I never heard it discussed in my time at Annesley. 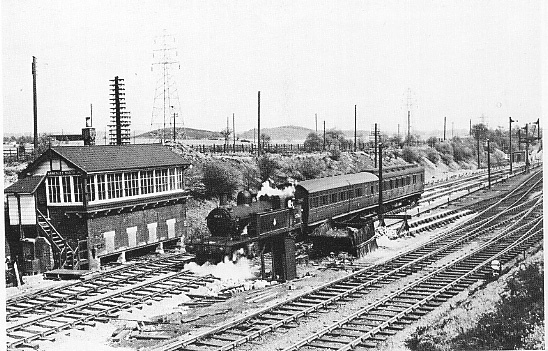 No.5 link at Annesley was always known as the "Dido" Link, although it only formed a small part of the link's 24 workings. Unfortunately, by the time I reached this link, the "Dido" had ceased to run. 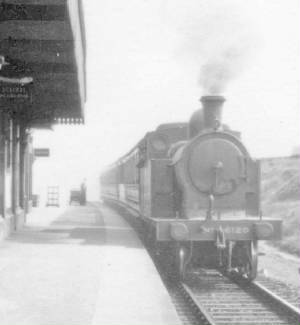 It stopped running at the end of the Summer timetable on 8th September 1962.